Never has a single device been so capable of endless automation possibilities like the Microscan MicroHAWK series. Built on the highest-performance imaging engine in its class, MicroHAWK barcode readers offer an array of modular hardware options to take on any decoding task in three micro-form-factors (ID-20, ID-30, and ID-40). No software to install, no compatibility obstacles, no experience needed. Just plug in and open a browser. Designed with the flexibility to meet the needs of any automation environment, MicroHAWK scanners are the ideal imager solution. The MicroHAWK series is the only imager that does it all, outperforming all other specialized imagers. Read codes, track parts, control quality, enable guidance from the world’s smallest smart cameras. Mini is now micro. Ease of use is now intuitive. Performance is now available in any configuration. Microscan’s MicroHAWK industrial fixed barcode readers pack incredible decoding power inside a micro form factor. Despite unpredictable print issues, scratches, or obstructions, Microscan’s advanced X-Mode decoding algorithms render damaged symbols readable. MicroHAWK also utilizes the latest in processing technology to ensure that codes can be read at incredible speeds, so you can break records for operational efficiency and break away from the competition. Built on the highest-performance imaging engine in its class, MicroHAWK offers an array of modular hardware options to take on any decoding task in three micro-form-factor readers. No software to install, no compatibility obstacles, no experience needed. Just plug in and open a browser. The MINI Hawk ESD Safe imager is the smallest complete solution for reading 1D/2D codes in static-sensitive and clean room environments. Aggressive X-Mode algorithms allow decoding of even the most difficult direct part marks (DPM) safely and at close proximity on static-sensitive electronics components and assemblies. The MINI Hawk’s unique nickel plating and ESD safe labels & cabling make it the only ESD safe solution certified for use in ISO Class 3 clean rooms. 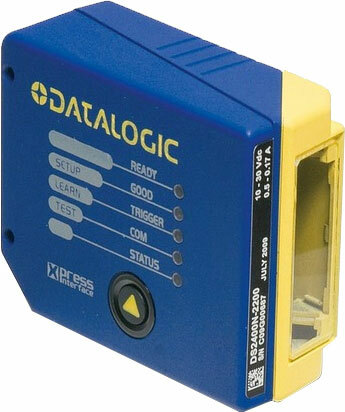 For help finding the right scanner for your ESD sensitive environment, contact us at BarcodesInc.